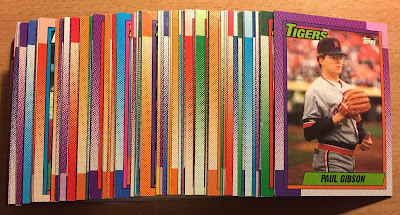 I saw this beautiful Mike Montgomery card on Thorzul's yearly Trade Me Anything posting. I sent him a couple Christian Yelich cards and a superfluous pair of new headphones for the guy who earned the last out of the 2016 post season. 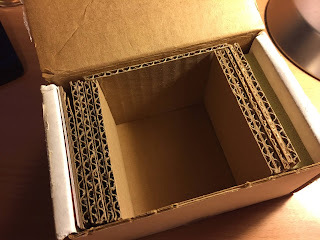 I love reading Thorzul's posts and seeing the odd things other bloggers send in exchange for cards. The other card trade in this post comes from Eric at Old Red Sox Cards. I sent him some Red Sox some time back and he rewarded me set help! Woot! 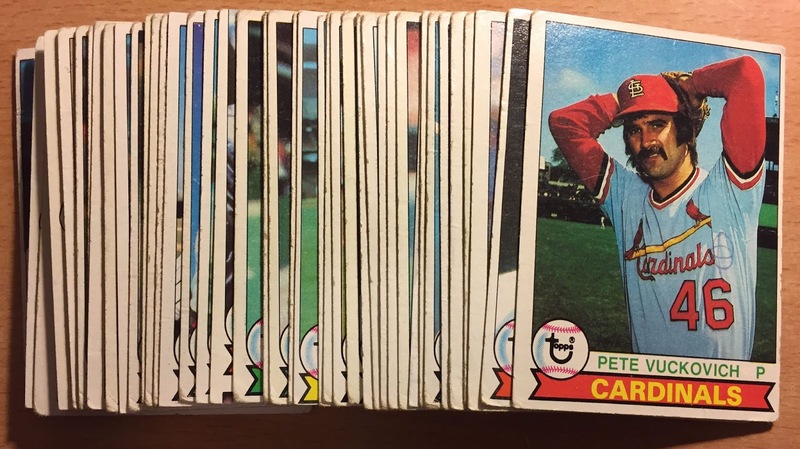 I should have taken a picture of the cards in the box before I sprung them loose. Eric knows how to pack cardboard! I've made some huge strides in my set building this past week. 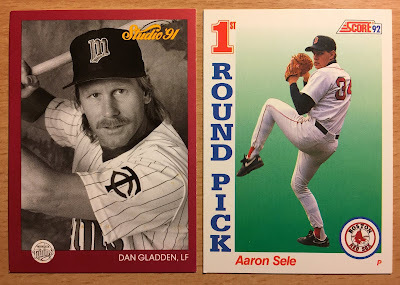 This is the first of three trades, which will net me over 250 cards for my sets. 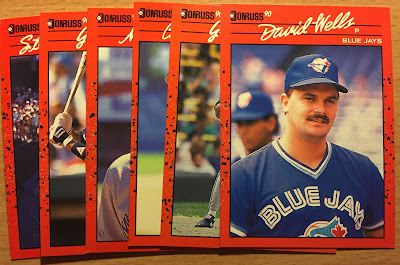 In fact, 1990 Donruss will have disappeared from my want list after a second package from the Chicago suburbs arrives this weekend. 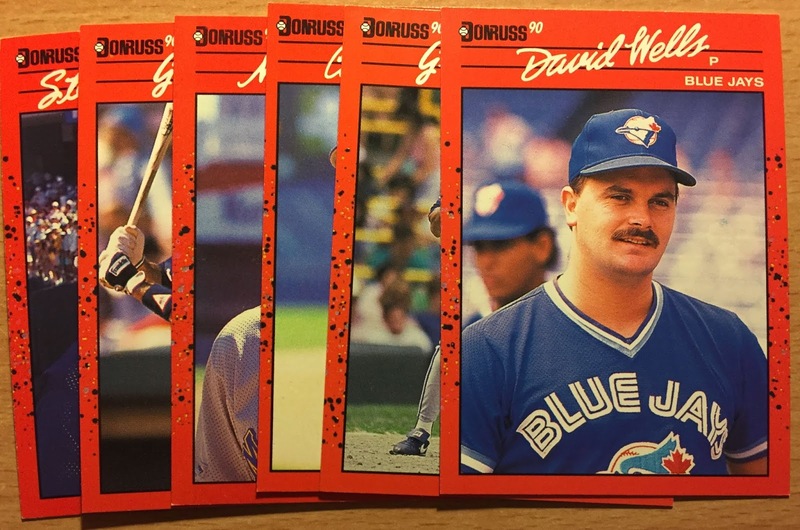 I'm hoping the third trade, which is still in the work, crosses off the last seven cards from my 1990 Topps set build. 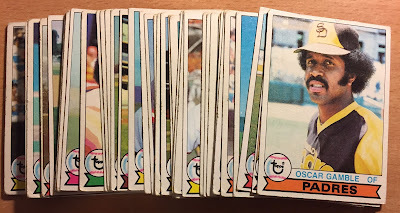 Soon my focus will turn to putting the 1979 set to bed. Eric sent a very healthy stay of loved '79s my way. 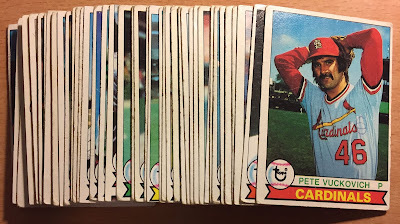 I chose the Pete Vuckovich as the top card of the first stack because he had the best mustache in the pile. 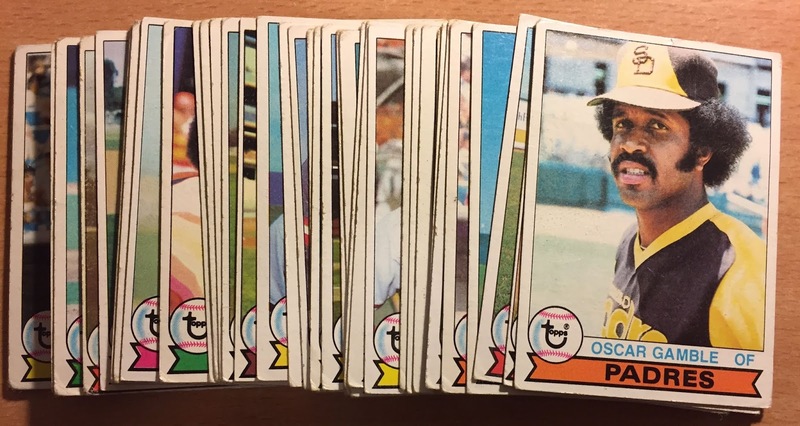 Oscar Gamble had the best hair, so he gets top billing on the other stack. Good stuff! Thanks for the trades, Thorzul and Eric! Glad you got them! Good luck finding the last few to complete the sets.